The race car you see in the lead photo is a testament to one man’s determination and passion to go fast above all other things in life. 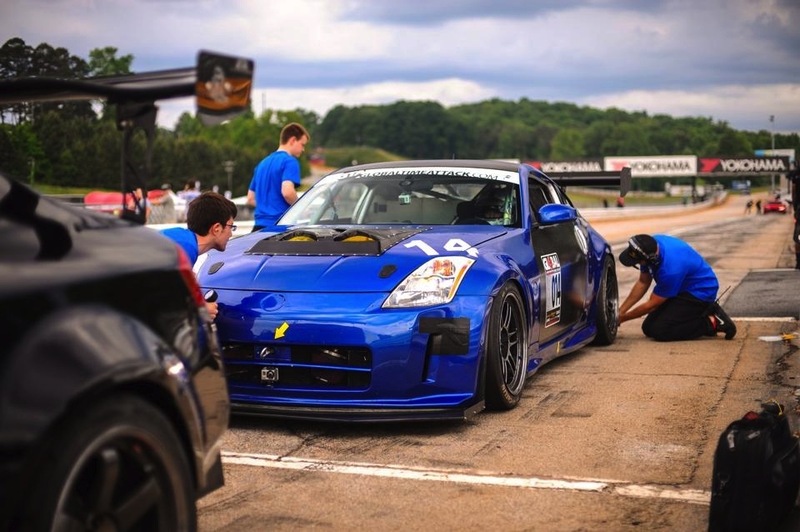 It wasn’t built with a professional race team budget nor has it come easy but the lofty lap times it has achieved are directly related Sasha Anis’s ability to look beyond the boundaries that hinder most car builds and develop one helluva fast Nissan 350Z. Just how fast? 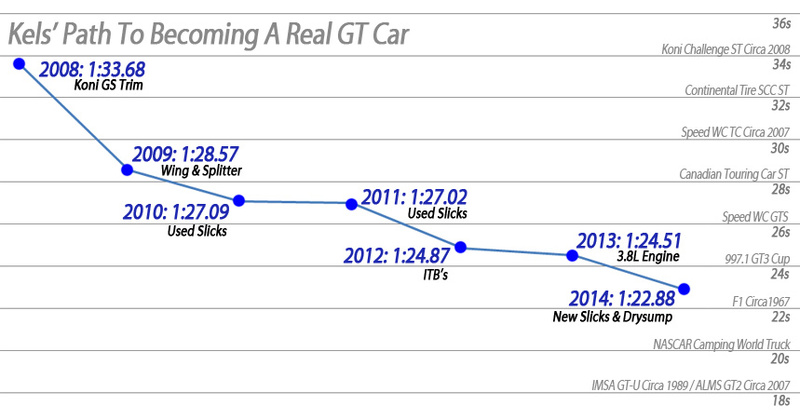 This wonderful chart outlines the development and resulting times (at Mosport) over the Z’s history with Sasha. 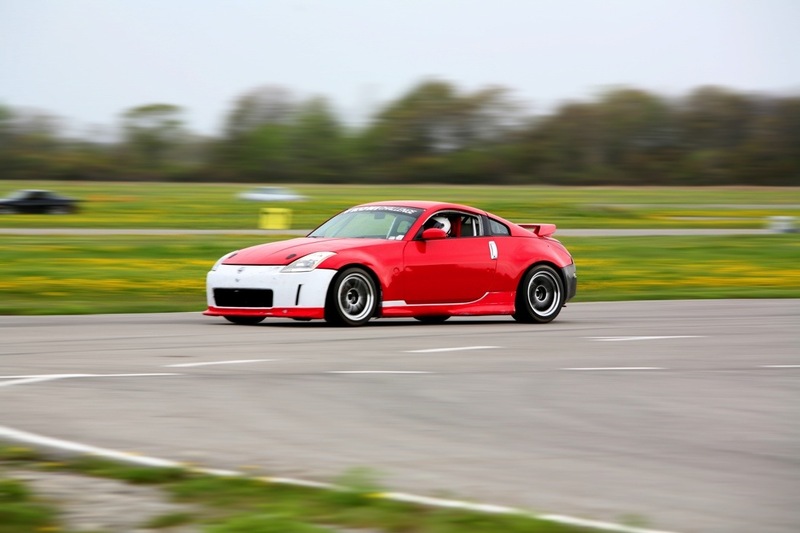 But before we dive in and look at the 350Z and what makes it so fast. 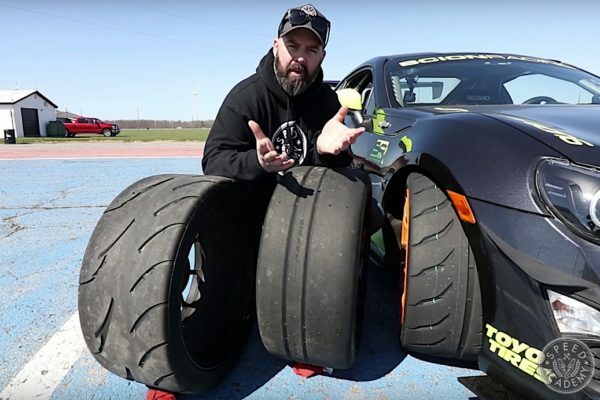 Let’s rewind a bit and start from the beginning because Sasha’s history is as interesting as the 350Z itself. I met Sasha through a local online Nissan 240SX (son240sx.org) community and back in 2004, he had one of the few SR20 swapped S14’s and was street/track drifting it before drifting was cool. These photos were taken at a car show where his S14 made a rare appearance but unlike 90% of the cars at the show, Sasha actually beat the piss out of his car all the time yet somehow the car always managed to look so damn fresh whether that’s because of the awesome Volk GTU rims or the GP Sports aero kit, who knows. 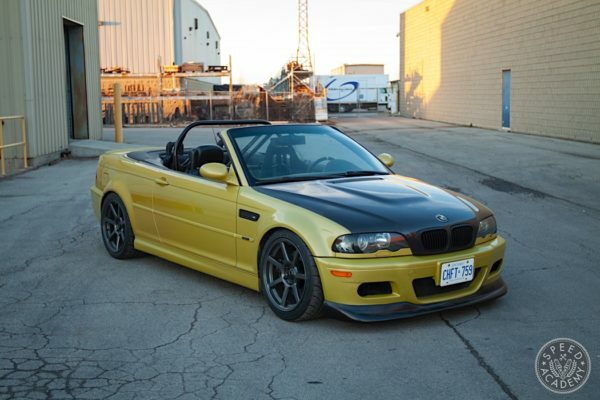 One thing’s for sure, his S14 had style and was way ahead of the S-chassis curve (In Canada at least). 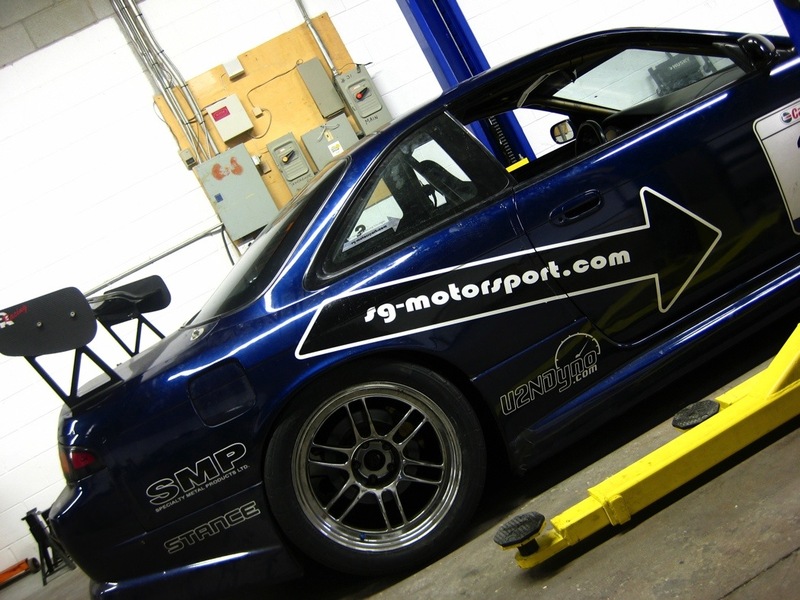 In ’05 he up’ed his internet forum status to elite level when his S14 was impounded after a chase involving law enforcement. 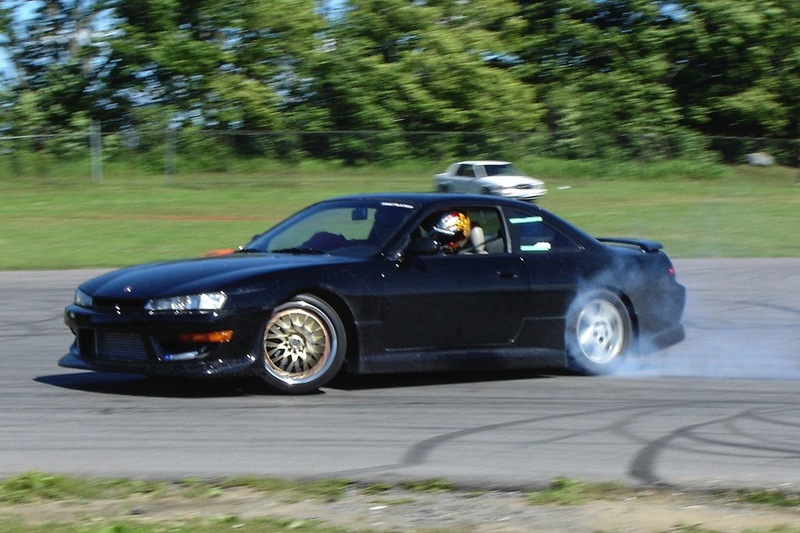 It marked an end to the street car status of the S14 and 2006 ushered in the era of real racing. A rear wing, wide body, full cage, and functional aero marked the beginning of Sasha’s racing career in the 240. Trying to go fast on the street was over, it was time to play with the big boys. 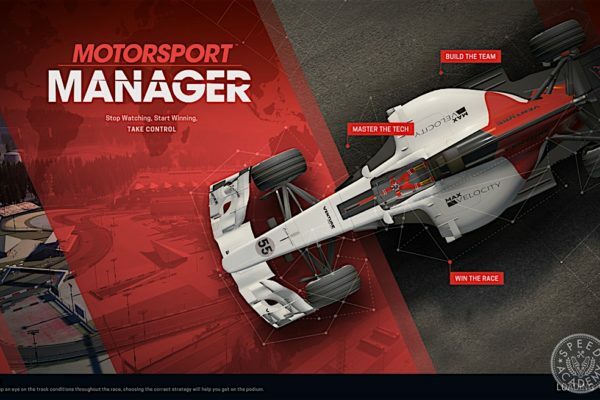 It didn’t take long for Sasha to develop and campaign a winning race car. In fact, 2007 saw him win the Canadian Touring Car Championship against some serious competition such as Corvettes, Vipers and ex World-Challenge GT cars. 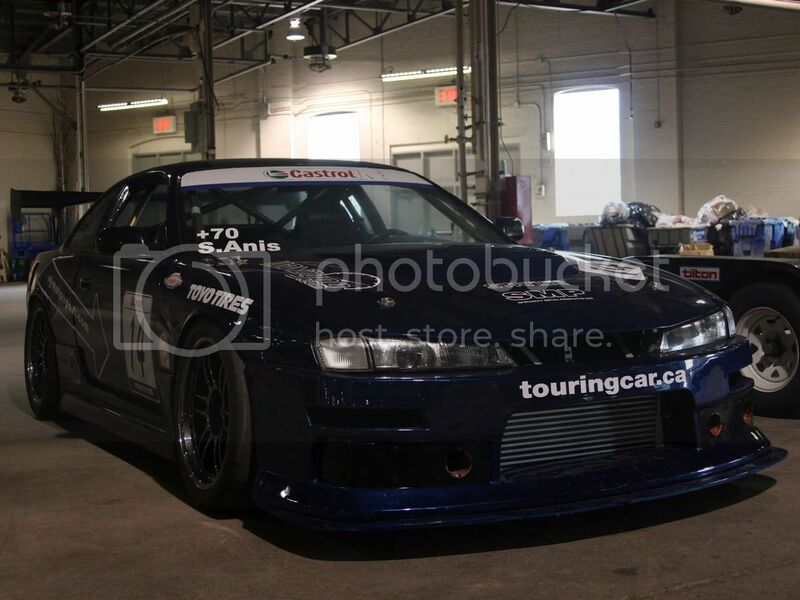 With a tired S14 chassis and Sasha eyeing a new race car, 2008 meant the end of the road for the 240SX. It was torn down and parted out to make way for something newer. 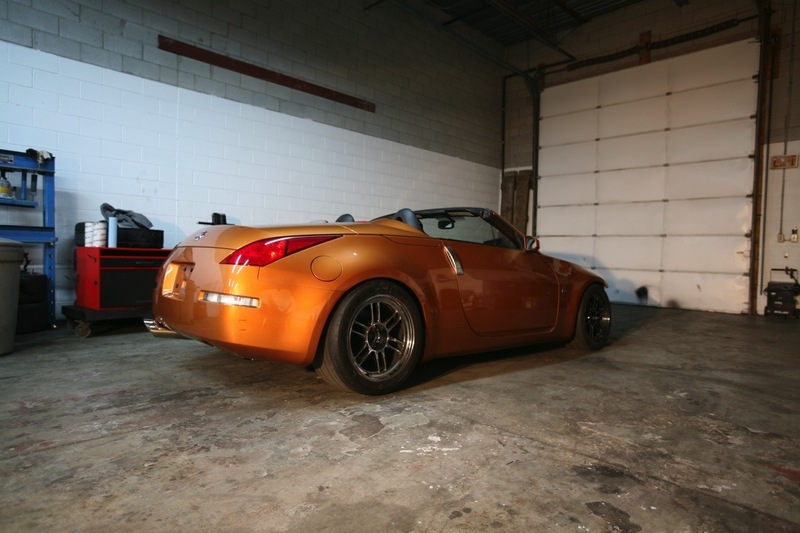 As a bonus the Koni Challenge 350Z came with a free 350Z roadster! An un-plateable one though so it meant it was good for R&D, parts, and parking lot burnouts but not much more. When the car arrived from its previous owner, Sasha knew he had a lot of work to do in order to get it up his racing standards. He spent a lot of time going over the entire vehicle and improving it. The first test day proved the car was totally un-driveable. 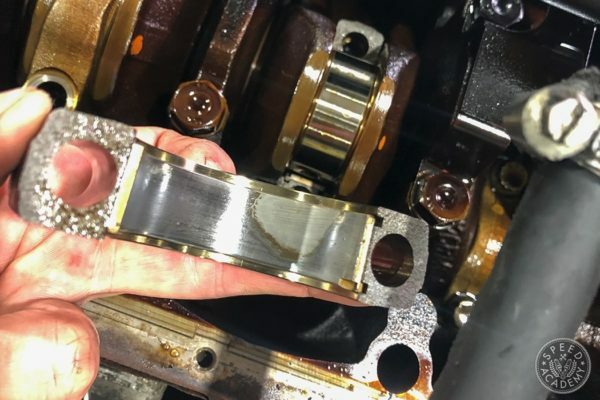 The brakes were no good, it was incredibly loose and sliding around everywhere, the VLSD differenital was horrible and the dampers weren’t valved correctly. 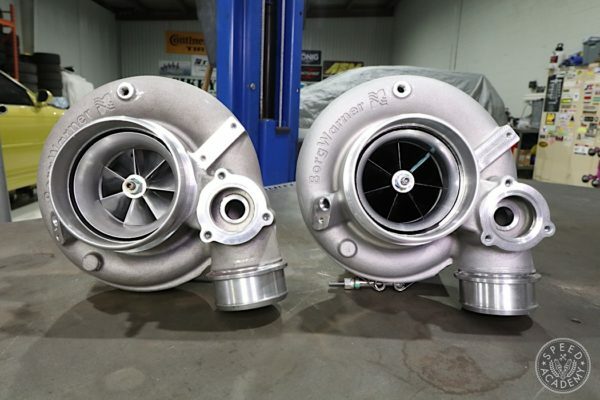 Plus, the engine did not have a lot of power; 290whp compared to most Koni Challenge GS cars which were around 330-350whp at the time. 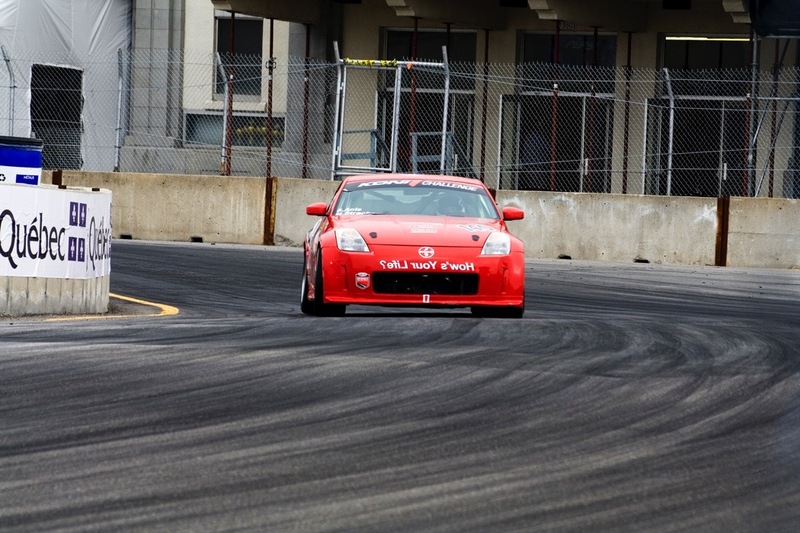 It was going to be an uphill battle with the car but Sasha entered his first Koni Challenge race anyways. 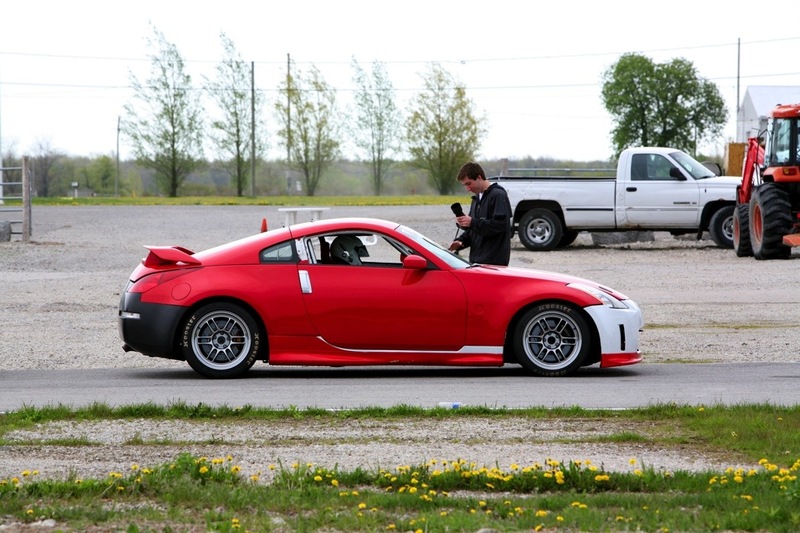 It was at his home track, Mosport so at least he had that going for him. With a shoestring budget, a team made up of friends, an open car trailer, 5 radios purchased used from ebay, a used fuel rig from a Daytona prototype team, and enough money for one set of new tires it was on (oh, and they also cheated by running pump 94 octane fuel because it was cheaper than the Sunoco spec race fuel). The first day didn’t start well, I ended up being late for the grid and having to start from the pits! My Co-Driver was good friend, Andrew Wojteczko and he drove the car up to the pits with no suit or gear on, none of the crew had ever done a pro endurance race before. We were as green as they come. The race starts and my 3rd lap is my personal fastest lap of the race. I vividly remember drafting another car and I think thats what made the difference, seeing as how I was on a full tank of fuel I’m surprised the car went that fast so early in the race. Then the radio sounds off that I have to come into the pits but I couldn’t make out why, my radio wasn’t working very well and I had a busted ear piece (We really were on tight budget!). I come into the pits and we get a penalty because there was some fuel spillage and one of the crew guys jumped over the wall that wasn’t wearing the right equipment! What a disaster! We get an additional 60-second penalty on top of the stop and go we already had, which puts us a lap down and then some. We’re sitting in 22nd place which isn’t bad at all for our first time racing and it’s time for a driver change. Andrew jumps in and literally after a few minutes of driving he radios in that one of the bolts for the seat has backed out and the car is undriveable. Sadly, that was pretty much the end of our race, after fixing the seat we were 10 laps down but I said screw it and went out and finished the race anyways. 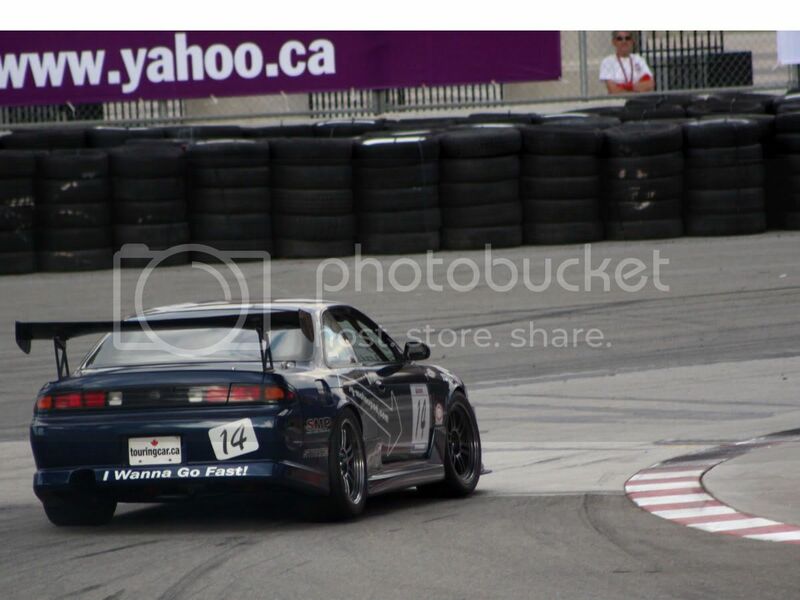 The second and last race I could afford of the season was at Grand Prix Trois-Rivieres which, is very much a point and shoot brakes and power track, again not a very good track for our underpowered front-heavy Z. We arrived almost an entire day late (we drove through the night to make it on time) and the Grand-Am officials literally swore at us in disgust and asked us if we thought this was a joke but eventually let us race. We had a hard time comprehending that people did this “pro racing” thing for a living. The rest of the crew couldn’t afford the time off work! During qualifying I was trying a little too hard, locked up the brakes and pumped the wall. We would lose our best lap and have a very poor qualifying as a result of causing the session to end early to tow the poor car away. Thankfully, we had the roadster with us as a spare parts car and snagged a tie rod and some other parts off of it. 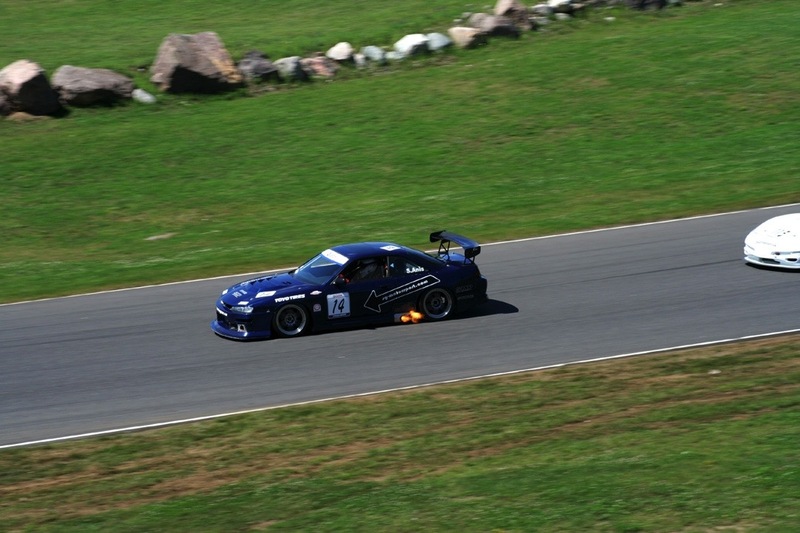 Sadly, the Z was not fast at this event, as the front dampers failed early in the race and the brakes were not up to the task, but we had a reliable car that went to the end while many other cars were crashing and setting themselves on fire in the pits. We managed to finish 13th in our second ever Koni Challenge GS race, an accomplishment even the angry Grand-Am officials were impressed with as they came by to congratulate us on our finish considering how well we did with such little resources and experience. It was after the Trois Rivieres race that Sasha had to assess his financial situation and figure out if he could continue to run Koni Challenge. To race would cost at least $20,000 per weekend since there would now be travel involved and the costs associated with it. Sasha ultimately realized that at this point in his life, spending that kind of money was foolish and he could use the cash to better develop the car so 2008 marked the end of professional racing for him. Does the engine in this car still retain the vq35 block with a vq37 crank swapped in? if so how was that possible?